INDIANAPOLIS, Ind. 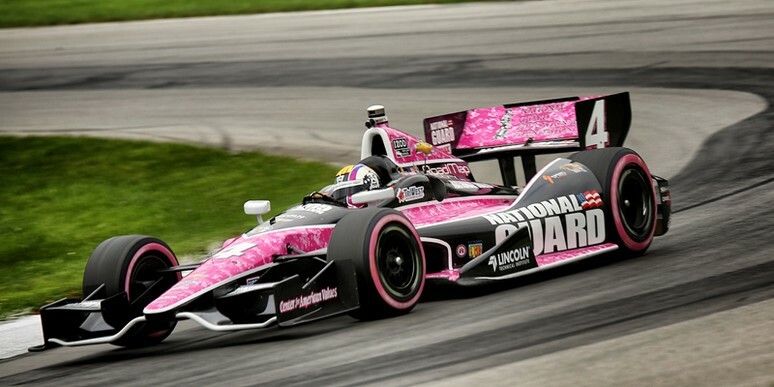 - (August 1, 2013) – Panther Racing will return to its popular “Pink Camo” livery to honor female soldiers serving in the National Guard during this weekend’s IndyCar Series race at the Mid-Ohio Sports Car Course. Firestone has joined the team in honoring females serving in the military and has created a pink sidewall tire that will replace the traditional black primary Firehawk tires this weekend. The Ohio National Guard is led by MG Deborah Ashenhurst, the only female adjutant general in the country, who will join the team this weekend to help celebrate the key role females play in the military. The team first debuted a pink camo car in 2011 at Kentucky Speedway and brought the popular livery back at Mid-Ohio last year after MG Ashenhurst was named adjutant general. The car’s design has remained similar until Firestone jumped in to add the pink tires to the mix. 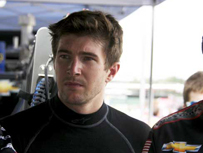 It was announced earlier this week that Servia is returning to drive the team’s No. 4 National Guard Chevy this weekend, and the likeable Spaniard was excited to hear of his car’s unique design for the weekend. The Honda Indy 200 will be broadcast live on NBC Sports Network on August 4th at 3:00 pm (ET), with additional coverage provided by the IMS Radio Network, XM/Sirius Channel 211. Practice, qualifying and race coverage is also available on the IndyCar Mobile app from Verizon.